HP Inc. clearly doesn’t think the market of cloud-based affordable laptops is exclusive to Chrome, as it just announced an update to its Windows-based line of Stream laptops. 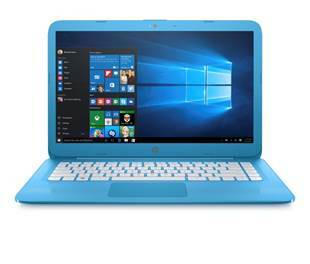 Available in bright colours and 11.6-inch or 14-inch screen sizes, the Stream PC’s top-billed features are good Wi-Fi antennae and a lower price than last year’s lineup. Also new, the Stream x360 is a hybrid PC that folds in half to transform into a tablet-style device. Other notable specs are a USB 3.0 port and embedded webcam. The displays are touch-enabled and support an HD resolution of 1366 by 768. 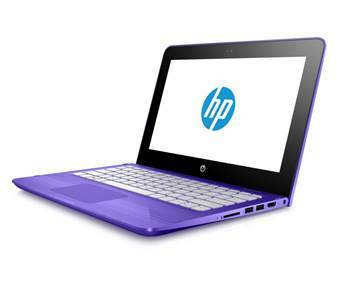 It appears that HP is dropping the 13″ model it launched in 2014 in favour of the new 14″ model. 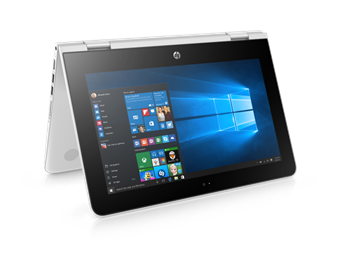 The base model offers a 1.6 GHz Intel Celeron N3060 processor, 4 GB of RAM, 32 GB of onboard storage, a digital card reader, and comes with Windows 10 Home edition. Select models also come with a one-year subscription to Office 365 Personal edition. HP only lists the thinnest measurement along the device, so it’s not known how thick they are, best rest assured these are slender devices. The heaviest of the bunch is the 14″ weighing in at just 3.18 lbs. The Stream laptops look to be positioned to compete with Chromebooks – lightweight laptops running Google’s Chrome OS that are almost entirely cloud-based and priced affordably. Even HP has dipped its toes into the Chromebook market, including with a pair of 14-inch devices launched last fall and a fairly high-end version in April. According to the NPD Group, Chromebook sales through U.S. B2B channels increased 43 per cent year over year in the first half of 2015. In the June and early July period of 2015, Chromebooks even exceeded sales of Windows notebooks and passed the 50 per cent share threshold in B2B channels. Canadian pricing and availability for the devices isn’t yet known, but the U.S. pricing on the Stream laptops is reduced. The Stream 11 starts at $199 USD and the Stream 14 is $219 USD. For the X360 model, it’s $249 USD. The new laptops are available south of the border Aug. 24 and “available in select regions starting in September,” according to the vendor.